Top Ten Tuesday is an original feature from The Broke and the Bookish. This week we are asked to list ten favorite authors in any genre. My first thought was contemporary, but the list was too hard to narrow down so I decided to tackle one of my recent favorite sub-genres: New Adult. New Adult books are sometimes called Mature YA and feature older teens, generally college age or just graduating high school. This category is gaining momentum and has been especially successful for self-published authors. Publishers are taking notice and have been snapping up some of these titles. 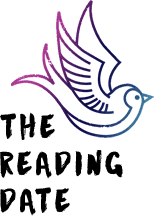 Penguin and Berkley teamed up to acquire self-pubbed Tammara Webber’s NA title Easy, Simon & Schuster’s Atria Books picked up Colleen Hoover’s Slammed and Point of Retreat, as well as Jamie McGuire’s Beautiful Disaster series, and Entangled Publishing is even starting their own New Adult line. It’s an exciting time for New Adult! 1. Colleen Hoover – Books: Slammed and Point of Retreat. (Review) The characters in this series are forced to take on adult responsibility at a young age. 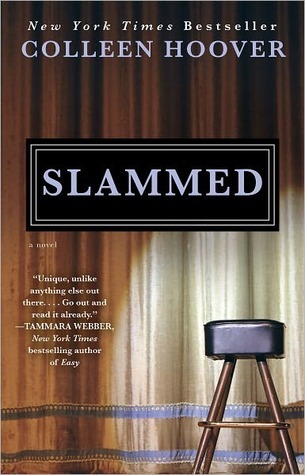 The “slammed” in the title could refer to the challenges put on the characters lives as well as their interest in poetry slams. This series has romance, emotional intensity, and great characters, and I like that it incorporates poetry. 2. Jennifer Echols – Books: Love Story (Review) in particular features a college age protagonist, but I’d also say that Such a Rush, Going Too Far, and Forget You are on the mature side and a good choice for NA fans. Echols has become one of my auto-buy authors this year. 4. Trish Doller – Book: Something Like Normal. 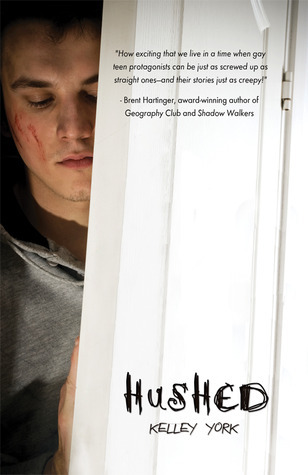 (Review) This book features a 19-year-old male protagonist who returns home from Afghanistan and finds that he’s not the same person he was when he left. 5. Jessica Park – Book: Flat-Out Love. (Review) One of my first New Adult (and self-pubbed) reads and a trendsetter in the genre. Great characters, witty dialogue, quirky, fun, and touching. 6. Sarah Dessen – Book: Along for the Ride. (Review) This book takes place post-high school in the summer and deals with family issues, workplace issues, and getting ready for college. There may be more NA friendly titles from Dessen, but this one stood out to me. 7. Cath Crowley – Book: Graffiti Moon. (Review) A post-high school /graduation night coming of age. This book is a coming of age that incorporates the arts and takes place over 24 hours. Additional reads to consider: On the Island by Tracey Garvis-Graves , Thoughtless by S.C. Stephens, Crash by Nicole Williams, Losing It by Cora Carmack (Just bought this one on Amy @ bookgoonie’s recommendation), Taking Chances by Molly McAdams, A Midsummer’s Nightmare by Kody Keplinger, Zero by Tom Leveen, and The Disenchantments by Nina LaCour. What do you think of the idea of New Adult? I’m interested to know your book recommendations in this category. I LOVED Easy! Also Beautiful Disaster. I need to read the others on your list! Jamie McGuire’s Beautiful Disaster’s is really good, I was addicted to it! There’s lots of books on your list that I never realized her New Adult until now! So, I’ve read more NA than I thought. 😉 I just read Easy last week and OMG so good! Looking forward to your review of Easy, Lori! I’m intrigued! Must try out these! (Love ALL of Sarah Dessen’s books, and loved Gayle Foreman’s.) Thanks for sharing! As a mom, I think it is great to have a distinction between HS & college age. Though YA can get quite mature, it at least gives you a heads up that the characters may be embarking into unsupervised, mature areas of their lives. I loved Echols books & I have Easy in my sights. I’m adding the rest to my GR’s radar. Agreed, Amy. The NA distinction works for parents and also for readers that prefer a more mature YA book. Thanks for your NA recs! I’ll be reading Losing It very soon. I haven’t read all of Dessen’s work and I’m wondering how many do actually fit the NA category. Yay! I did a NA list too! And I can’t tell you enough how I loved Easy and Beautiful Disaster. My list is very similar to yours.. some are on the TBR pile too! I’m happy to see a NA list. I love some of these, and can’t wait to read others! Check out my Top Ten Favorite YA Contemporary Authors HERE! Also, I have a FANTASTIC giveaway of a SIGNED copy Lauren Oliver’s new book, THE SPINDLERS, going on HERE! I’ll be honest I haven’t bought into the New Adult trend yet, but all the books I’ve read that have been in this category I’ve really loved. I like that they’re a little edgier without losing the things that make YA great. I also feel like they deal with adult issues without being stereotypical – like chick lit or romance novels. I’ll totally have to look into some of these that I haven’t read! Edgier is a good description for NA, and I’m curious to see how this category evolves. Thanks for sharing your insight, Candice! Easy by Tammara Webber was amazing! You have so many awesome looking authors and books too, I can’t wait to read the series by Gayle Forman! I’ve never read any new adult novels, but I think I’d probably like the genre. It might solve some of the issues that I have in YA lit. I keep seeing Slammed around, I’ll have to check it out (and I’m on hold for Beautiful Disaster). I didn’t realize there’s a whole new genre out there. I need to try a New Adult book! I love Along for the Ride by Sarah Dessen; I also love This Lullaby and The Truth About Forever by her. I’m really interested in reading This Lullaby, especially since it has a music theme. And The Truth About Forever also looks great. Thanks for the recs! I really do love NA books, they’re definitely some of my faves. Besides ones you’ve already mentioned I would recommend The Piper’s Son by Melina Marchetta, Come See About Me by C.K. Kelly Martin, Life on the Edge by Jennifer Comeaux, and Diana Peterfreund’s Secret Society Girl series. You’re a prolific reader of NA, so I know you know your stuff! Off to add these to GR now 🙂 Thanks Ashley! I have not read anything by Sarah Dessen and plan to soon. 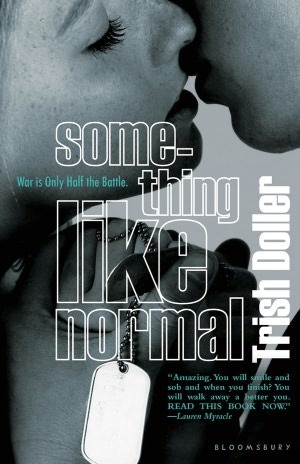 Something Like Normal was incredibly by Trish Doller, I read that over the summer. Amazing. I’m currently reading If I Stay… so wonderfully written and heartbreaking! I hadn’t realized there was a “New Adult” Genre. Oh, and I’ve also heard great things about Jennifer Echols. I really liked Something Like Normal and would definitely like to read something like it again! It is nice to see books addressing (naming, even) the 18-22 year old crowd… I certainly wish these were around when I was in late high school and early college, just so I had some protagonists to relate to who were dealing with the sames issues I was! Agreed- I think addressing the college age group definitely fills a void for readers. And yes, I would have liked to see NA come along a little earlier too! I love that there is a New Adult category of books! I LOVE Flat Out Love!! It was an amazing book and I think the author is really nice/awesome! I also enjoyed Where She went more than If I Stay. Jennifer Echols is definitely one that I have to read since I heard her books are amazing and since we have similar tastes I am sure I will enjoy it. I am glad you reminded me about Hushed because I forgot about it! I’ve been seeing so many book tagged as “New Adult” and I’m glad that category has been added to publishing. Your choices all look good, and I will check some of them out! This is a new genre I’ve definitely seen emerging and something I’m intruiged by. I’ve only heard of Easy and I read Beautiful Disaster and di not really enjoy that book. Great Picks and Thanks for stopping by! I really need to read some New Adult books. 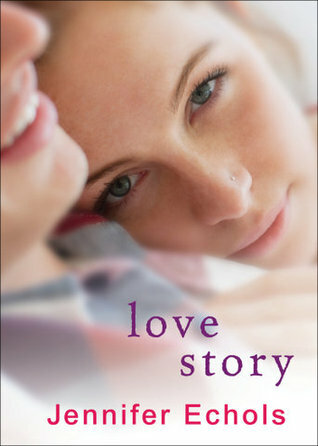 The only one I’ve read, Love Story by Jennifer Echols, I really disliked. But that wasn’t because it was a New Adult book. I have Easy on my kindle, but I just haven’t gotten around to reading it yet. And I definitely want to read Beautiful Disaster. i have heard of new adult but actually haven’t read many books in this category. i do have love story at home though so there is that. i’ll have to check some of these out. thanks for the recs, lucy!